Having not played World of Warcraft since 2011, can Warlords of Draenor draw me back to Azeroth? For full disclosure, I haven’t played World of Warcraft since 2011. Having only reached level 82 on my Paladin briefly after the launch of Cataclysm I left the game soon after to pursue Guild Wars 2. I’ve never played the game since and in all honesty, I haven’t even kept up with what the updates had to offer. When World of Warcraft launched I played it every day, almost all day, without fail. It was at the point that Cataclysm launched that I was growing tired of both the treadmill and approach Blizzard was taking. I’d achieved all that I wanted and didn’t want to yet again level my character or replace all its gear. With the arrival of Warlords of Draenor I wanted to return back to World of Warcraft out of pure professional curiosity to see whether it could once again capture my attention or whether my relationship with this enduring game had well and truly died. I’d read very little as to what to expect from Draenor and considering I hadn’t paid much attention to the game in three years I felt there was little value in reading up on what was on offer or just how it would be presented. If I’d have done so I would have probably been reading for a long time but as it so happens and as to be expected, the queues to get into the game were so long I ended up reading and watching a fair amount on Garrisons and the class changes. Here’s how I got on. I’d already decided during my queue time that I’d be making a Monk and using my level 90 Boost to do so. I’d played a Druid to death and my Tauren Paladin was level 80. I figured if the game caught my attention I could level her to 90 without much of a problem but starting from the very beginning as a level 1 Monk was a thought that made me feel slightly ill. I have to say, I wasn’t expecting the game to still look good nor was I anticipating the Monk to be a class I’d love. On both counts I was wrong and for several reasons. 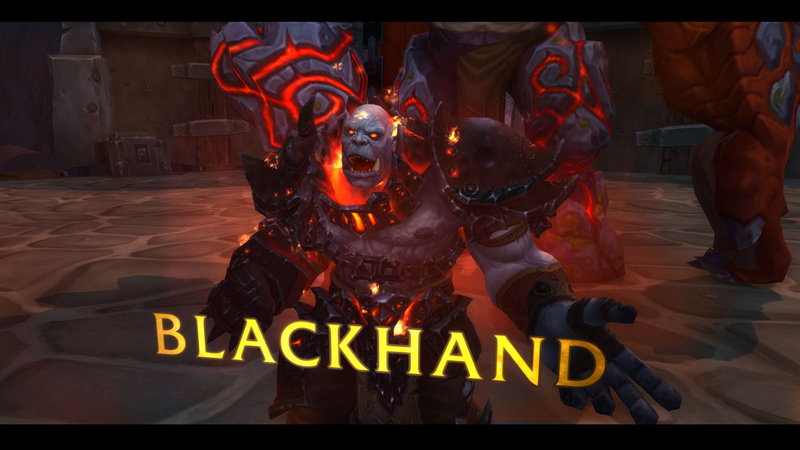 World of Warcraft has never been your typical looker. Its art direction and ability to run on even the poorest of computers is part of its charm and success. I’ve actually always adored how the game looks and find its styling much more appealing than, say, The Elder Scrolls Online because it is both stylish and striking: World of Warcraft's visuals have lasted because of that very styling. I’m not suggesting that Draenor looks as good as as its modern contemporaries and it certainly falls behind the likes of Guild Wars 2 or WildStar, but its engine has served its purpose and there’s still some stunning locations on offer. In many ways I’m glad that Blizzard has taken the time to update the character models and although the differences aren’t huge and you immediately take them for granted, its given the drab models a new lease of life. The amount of new faces on offer is still far too small and the differences between them are negligible but at least they now look pleasing on the eye. Having chosen my Pandaren Monk (I know they’re a joke race but I’ve always loved them) I jumped in game to make my way through the Dark Portal. With a quest prompt that’s impossible to miss my band of merry men attacked the portal and fell into the arms of the awaiting Warlord horde. It’s at this point that it became clear just how much Blizzard have changed their quest delivery. The way in which you accept and complete quests is still very much the same but their willingness to actually present several ingame cutscenes throughout the process not only adds a clearer narrative but makes the whole session much more engaging. There’s still the temptation to skip through quest text but the use of some voice acting does alleviate the itch. Obviously I don’t expect this to last but it makes for a solid introduction to Draenor. When it comes to the class I was playing I’m well and truly late to the bandwagon. In many ways I’m absolutely gutted that the Monk is a class that arrived so late in the games lifespan because it’s so much fun to play. There’s no value of me talking about it in depth here because Panderia is old news but what it did reinforce to me is just how good Blizzard are at making classes. Not only do they all still feel solid but the quest chains here to gradually unlock your talents and your skills if you’re a fresh 90 is an awesome addition. It allows you to gradually learn what your class is about without being overwhelmed. On the subject of me being a fresh 90, I think what Blizzard have on offer here is a reasonable tradeoff. It does feel a little lame being launched straight to level 90 and in many ways, especially for those joining World of Warcraft for the first time, it’s highly dismissive of the wonderful zones that come before Draenor. However, as World of Warcraft has continued to grow the reality is that Blizzard have likely given up on growth at this point and if they haven’t, their answer is to make access to WoW as easy as humanly possible. I’m grateful for the level 90 boost to simply get a taste of what Draenor is all about - that’s the point - and I’m sure many long standing players are glad to be able to jump their alts up the leveling ladder. Without the level 90 boost on offer I very much doubt sales would have been as high. 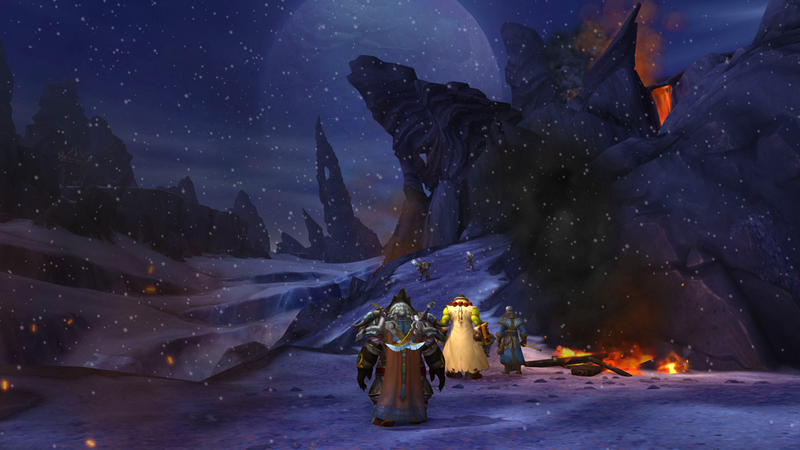 Besides the above the Garrison is a large draw for Draenor. I’ve stated before that it feels very reminiscent of Skies of Arcadia and it absolutely does. Blizzard have also been incredibly clever in implementing it as you and your motley crew flee the Warlords to setup a new fortification. My Garrison is still very much in its infancy and as a huge fan of housing in WildStar I’m going to reserve judgement on its long term potential until I’ve explored it more. It definitely has promise, though. It was at this point that Draenor has already provided me with sense of deja vu but also the feeling that Blizzard are going about things all wrong. Ten minutes after reaching the Garrison I honestly couldn’t remember any of the quests I’d completed and yet again my character (as has always been the case) was inundated with skills. This is where both The Bad and The Ugly quickly crept in. While playing through Draenor I had a notepad by my side and made a list of all the things I disliked. The list didn’t actually extend to what’s on offer in Draenor but instead the chasis of what’s is holding World of Warcraft together. I totally understand that Blizzard are in bind when it comes to making changes to the core of their game. The slightest change and you’re highly likely to piss off millions of players. I just think of the drama that the company went through to convince the player base to update the faces of its models because some people actually liked the ugly versions. I’m of the opinion that if World of Warcraft is to continue for the foreseeable future and actually grow, instead of shrinking after every expansion pack launches, it needs to bring in new players. I believe the two biggest things holding the game back is the god awful user interface and its archaic combat system. To address the former, its user interface is not only unsightly but unintuitive, cluttered and downright ugly. I still loathe the fact that your entire screen is littered with a ridiculous abundance of skills, potions and food and that almost all of it requires binds. Worse, the actual menu screens I found confusing. Why are my passive abilities listed next to my primary abilities with the tiniest font informing me of that? Or why are my talent skills in a separate tab from my skills tab? It’s just annoying. I really would have thought that Blizzard would have at least realised that having debuffs default to the upper right of the screen and your class resource bar to the upper left is just ridiculous. I can appreciate that it can all be changed with Addons and I’m very familiar with loading my game up with them. My issue here however is you shouldn’t have to and Blizzard shouldn’t rely on the playerbase to fix their poor design. Where the combat is concerned, World of Warcraft’s has never made the heart race but was more than functional. For anyone who has played any of the recent crop of MMO’s to build on WoW’s formulae, it’s incredibly difficult to go back. The lack of cleaving, few targeted AOE skills, mitigation only in the form of skills (as opposed to your positioning) is just a frustrating experience. The fact my Monk could dodge was welcome but it still falls massively behind the competition, especially when compared to Guild Wars 2 or WildStar. In many ways it isn’t the games fault, World of Warcraft is over ten years old after all. However, I see no reason why Blizzard couldn’t at this stage make significant changes to their core combat system. For the sake of sexing up what’s an incredibly dull way of fighting, it’d be worth upsetting some of the playerbase. Clearly a large amount of people find enjoyment in getting smacked in the face by lifeless NPC’s while standing stionationary hitting them back. Lastly I’d have to say that the lack of life in the world is incredibly off-putting. 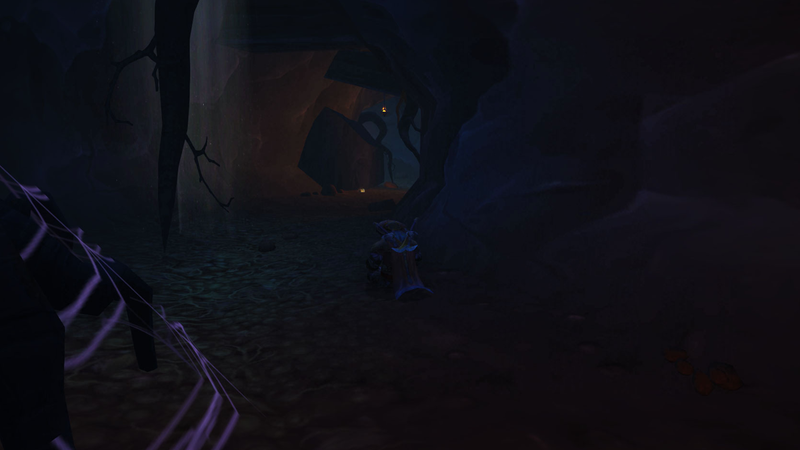 The staging area of the Draenor introduction is fine as you leap through the portal. Seeing NPC’s fight is inviting and somewhat exciting but it all feels so rigid. Without a dynamic element to the movement and attacking pattern of the creatures inhabiting the world it all feels drab and static. I craved something more to what I was running through. Wouldn’t it be wonderful if the enemies acted similarly to Guild Wars 2’s events and functioned with some sort of purpose and intent? Guild Wars 2’s system certainly isn’t perfect and it does have its limitations but the recent zone, The Silverwastes, is something I’d have loved to have seen implemented here. It’s actually difficult for me to separate The Bad and The Ugly when it comes to Draenor because the issues facing the game are so clear. The biggest and ugliest issue is that I think Blizzard have backed themselves into a corner with World of Warcraft. Their continued pursuit of vertical progression as opposed to horizontal leaves no room for them to design anything outside of the confines of level progression. Considering I was boosted to level 90 the thought of then having to obtain another 10 levels through just playing Draenor seems entirely arbitrary. If it’s guaranteed that you’ll gain the levels necessary to re-cap just by playing this expansion pack, why add them in the first place? I appreciate that it all boils down to itemisation, more skills and more attributes but it all just feels so fundamentally pointless. The World of Warcraft audience are so insatiable for more carrots that Blizzard, because it’s all they’ve ever done, will continue to attempt to satiate them. It doesn’t work and as evidenced by several players reaching level 100 within hours of Draenors launch, is entirely pointless. Casually playing up to the Garrison managed to nab me 1 level. Did I feel stronger, more rewarded and did it feel worthwhile? Not really. Just providing me with solid quests, loot and additional skills through completing quests would have been more than sufficient to satisfy my needs. For me to argue against this continued curve of progression each and every expansion pack all too often falls on deaf ears. I would however argue that nothing good has ever come from raising the level cap in an MMO. All zones and content level 90 or below become redundant due to poorer loot and ease of difficulty. All items level 90 and below become redundant due to new loot tables at level 100. The leveling experience for those entirely new to the game (if they choose not to boost) becomes even more daunting and exhausting, especially if you want to level alts. Older zones become even emptier as players once again shift away to new and higher level zones, never to return. The treadmill starts all over again. The sense of a “world” is significantly diminished as content is compartmentalised to ensure players are encouraged to stay in the level 90-100 zones. Creating new zones, quests, loot and content for these increased level caps is both costly and incredibly time consuming for developers. The list goes on and I think it’s both a lazy way of keeping players entertained and a very poor one. If I was to walk through the Dark Portal and the only thing available to me was a level 90 continent filled with quests, new cosmetic items and fun content I’d be happy. I don’t need attribute based increments or to see my level flip over from 90 to 91. What I do want is a depth to the content I’m undertaking and the feeling that my character and my attachment to it is growing through play not irrelevant “progression”. What I feel World of Warcraft needs isn’t to continue to add to its landmass (the new zone looks great) but is instead to return to the zones it already has and not only revitalise them but drastically change them. It’d reinvigorate the world, encourage players - new and old - to revisit once thriving locations. I’d also be convinced that it’d be much less world for Blizzard. All they’d then need to do is establish the exact parameters of rewarding players to provide a sense of progression. You might at this stage be wondering why I even purchased Warlords of Draenor if the fundamental design of the game no longer appeals to me. While that’s true, it doesn’t in any way make Draenor a bad expansion. In fact, I’d probably say it’s one of the best Blizzard have ever produced. Like all things they make, it’s polished, well made and incredibly easy to slip back into the saddle. Although I’ll happily continue to level 100 just to let me Monk reach the maximum level, I doubt I’ll play on after that. This expansion pack does little for people like me that have left the nest and experienced other games in the genre and is instead aimed directly at those who play only World of Warcraft. That’s absolutely fine with me and those players will find tons to enjoy here. For me however, regardless of how I yearn for another MMO from Blizzard I simply can’t return to World of Warcraft long term. If they were to make changes to the core gameplay I’d be back in a heartbeat but then it wouldn’t be World of Warcraft for all those who still love the game so much. 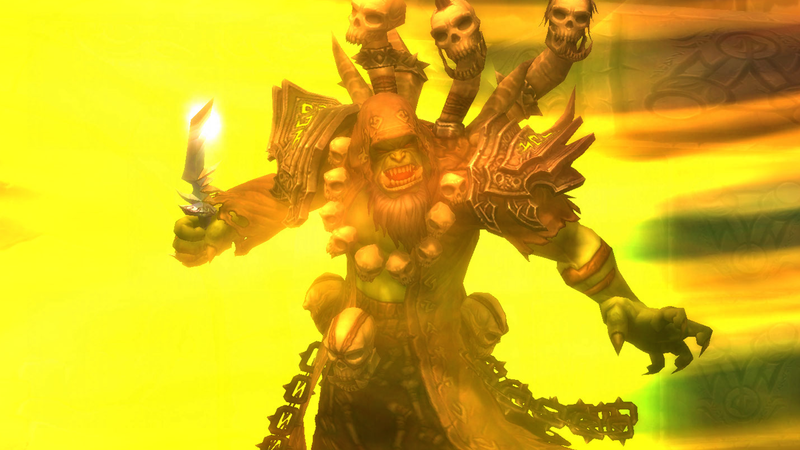 To read the latest guides, news, and features you can visit our Warlords of Draenor Game Page.